Learn techniques to solve your brick walls. Overcome problems with the spelling of surnames; learn to search in the correct location and review cases that will help unlock the early U.S. census records. Steve reviews various advanced search techniques that he has used to find the documents for his family histories. Steve is an author and columnist. He received a Bachelor of Science Degree from the University of Illinois in Champaign-Urbana, Illinois and a MBA from Northern Illinois University in DeKalb, Illinois. He has been researching his ancestors for about fourteen years and has traced ancestors back to 1600s New England and 1730’s in Poland, Germany, Bohemia and Slovenia. He has given numerous presentations to genealogical groups and libraries in Illinois, Indiana and Wisconsin. His goal is to share his passion for Family History. He is a member for the Polish Genealogical Society of America, the Illinois State Genealogical Society and Northwest Suburban Genealogical Socity. 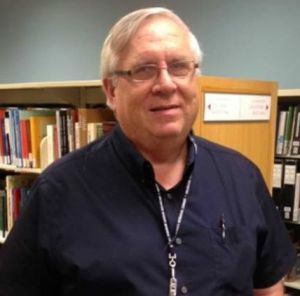 He is also a genealogy volunteer at the Arlington Heights Illinois Library. He is the author of six print books – Basic Genealogy, Write Your Family History, Finding Grandma’s European Ancestors, Polish Genealogy, Memories of Dziadka, Quick Reference to U.S. Census Records and Deciphering the 1790-1840 U.S. Census Records. He has also published five eBooks on genealogy. All are must have books for the beginning genealogist looking for their European heritage. Steve also the genealogy columnist for the Polish American Journal.